When I went to Landers over the weekend I decided to get Cadbury ice cream after I told my husband they have it there. He said it was Australian made ice cream and he raves that Aussie ice cream are the best compared to local ones. Cabury Ice Cream is manufactured by Bula. They only have 5 flavors available in Landers Superstore. They don’t have Fruit & Nut available. These same flavors are also available in Cadbury bars that I used to get in Singapore. If you have tried our local vanilla ice cream…it seems the flavor is very 1 dimensional but when you try the Cadbury Ice Cream…I’ve got to say its delicious. First thing I can tell about it that it seems very creamy. The one thing that is good with this ice cream they have a quality seal that ensure the product has not been tampered with. Cadbury Ice Cream is currently being sold in Landers for 329.75. Nowadays superstores are so popular in the Philippines. Saying that recently Landers just opened their doorsin their Balibtawak branch with is just beside MC Home Depot along EDSA. Late March Landers has launched a Facebook sponsored ad to get users know about their Facebook page and their promotion with regards to their membership. During 1 weekend we were driving around Otis and saw their sign for their other site. We got off to inquire about their buy 1 take 1 membership. During that time we were told Balintawak would open May and June for Otis…which obviously they weren’t able to meet. When we signed up at Otis we were told our membership expiry would follow the Otis branch opening which was cool cause we get to use our membership at Balintawak without the membership ticking till Otis opens. The Otis branch is across FORD Otis. 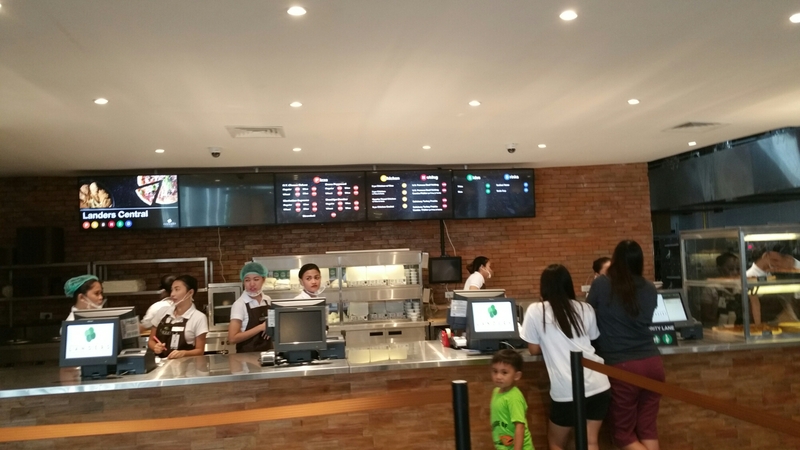 We decided to make a trip to the Balintawak branch during the grand opening weekend. Operating hours is 9am till 9pm. When you get there,you will notice on your right the Caltex station that is exclusively for members. Price displayed is before discount but the petrol dispenser are caliberated to the discounted price. Once you get there make sure to bring out your membership card. The setup is similar to S&R however there is a wider variety. The first few aisle are dedicared to toiletries. They have an extensive line of Aveeno product that took up 1 whole aisle. 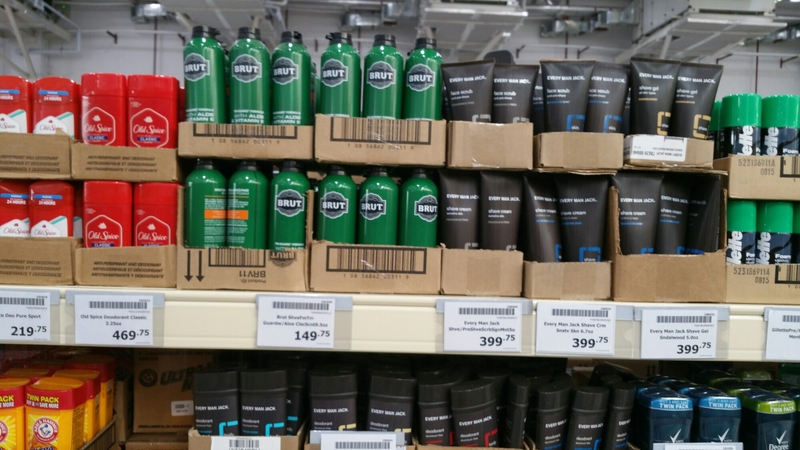 If you are looking for men’s toiletry, Landers have quite a selection of brands from shaving cream to body wash. 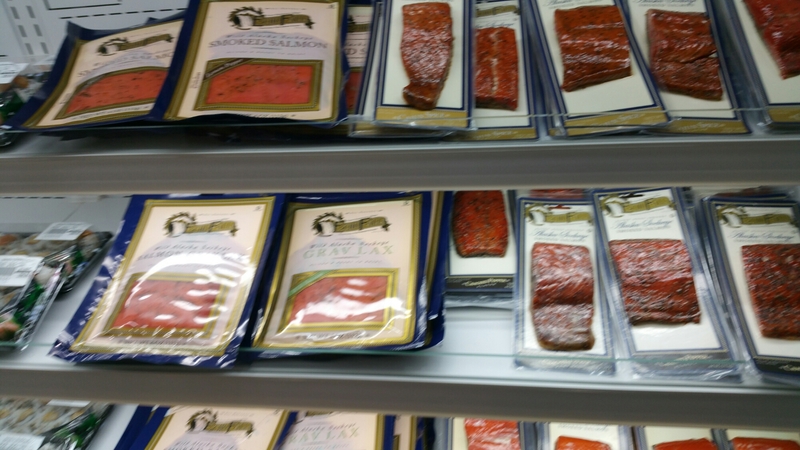 They have a good selection of meat from local meat, live seafood, deli section, to imported lamb. 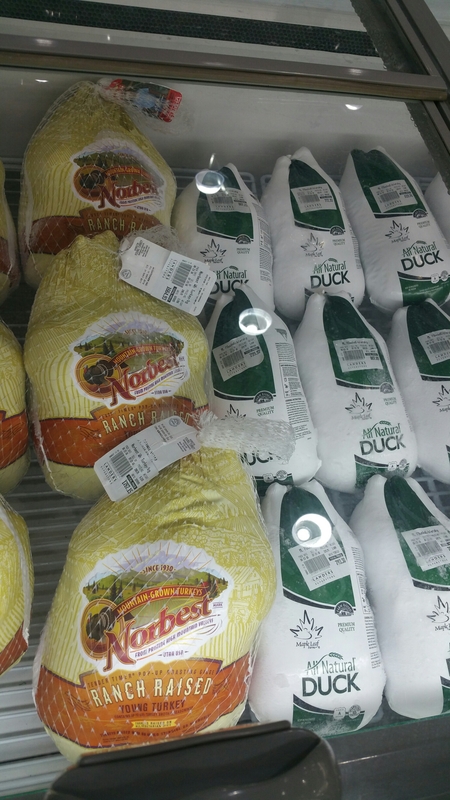 They have a wide selection of poultry as well from the local Bounty chicken to premarinade items as well as frozen turkey and duck. 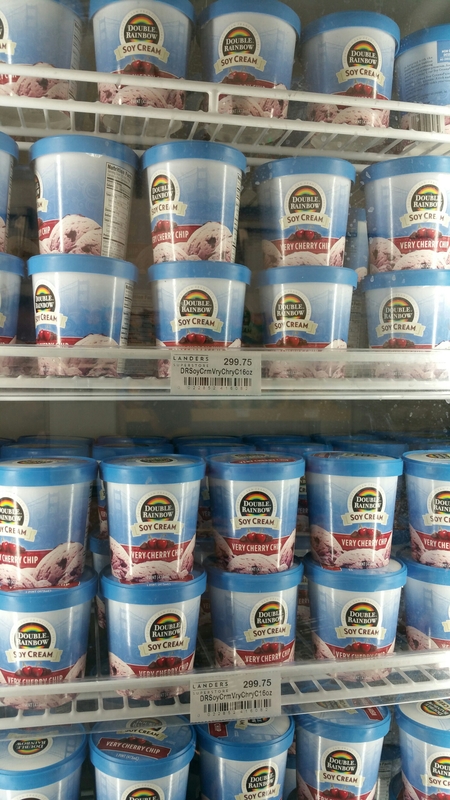 You might also find some unique ice creams that you won’t find in S&R. 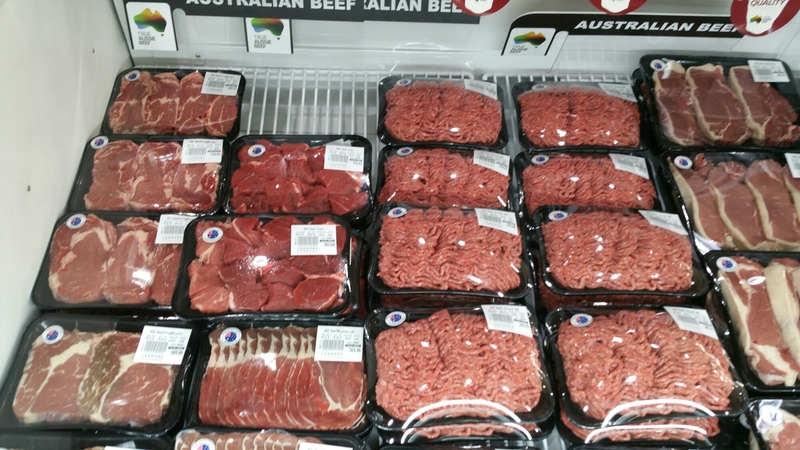 Base of my assessement of the place majority of their products are from Canada & US and the remaining are sourced from other countries like Australia and New Zealand to name a few. I tried to vanilla ice cream and I can say its delicious. 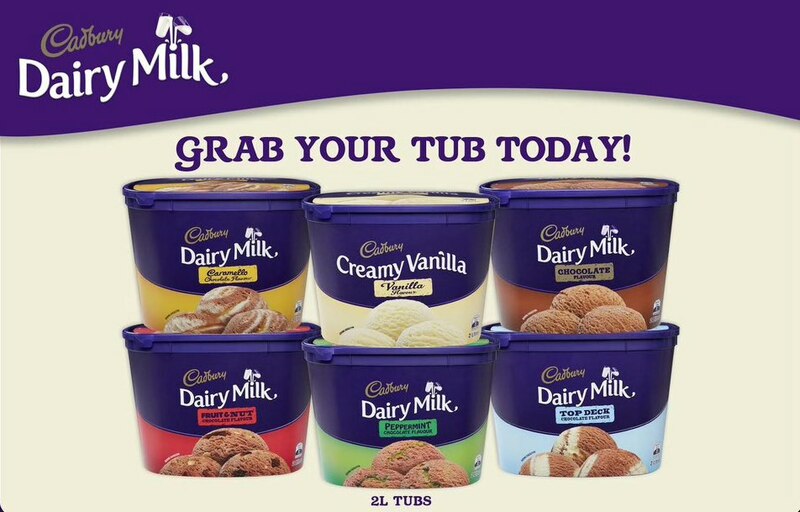 I am not very fond of ice cream the few flavors I usually have are vanilla and chocolate and the Cadbury ice cream is definitely worth trying out especially for 329.75 at 2L. I think once you try it you won’t go back to the local Selecta. Yes perhaps they have ordinary flavored ice cream but they are phenomenal. Simple flavor done best. Makes me wonder if Ben & Jerry’s is really worth 329.75 for 16oz (approximately 400ml). If you plan to try their food like their pizza, hotdog and burger. Try to come early on weekend and I suggest to try and eat first before you go shopping especially if you’re buying meat as the line gets long throughout the day. They also have a pastry and ice cream bar close to the entrance. I tried the US Beef Hotdog Combo (with Soda & Fries) for 199…it was not bad nothing to rave for. I hope to be able to go to the grand opening of their Otis branch and get to see what they are offering on sale and freebies. I just recently gave birth to my first child. I’m in my early 30s and my OB told me I have gestational diabetes so I my OB told me she will try to go for a natural birth but we still end up going for C-section. After almost 2 months after giving birth I think its time to lessen the appearance of the scar. I looked through other blogs and I decided to try CONTRACTUBEX. I’ll update this blog after a month or until I finish 1 tube. Just lodge my Tourist Visa Application last week. Still waiting for the result and trying to be optimistic about the result. So I’m watching Border Security in Youtube just to see what its gonna be like when you get to Customs & Immigration. Let’s face it…they take the matter serious…serious enough that if you don’t declare any food whether prohibited or not, they will fine you AUD$220 per passenger, the least would be AUD$110. I’ve traveled around a few Asian countries and never do I see anybody go through Custom Declaration. But when I was watching Border Security, its a whole different scene than what I would imagine. So if you’re goin to Australia, I suggest you read this sample copy of the Incoming Passenger Card. (this is also, available in other languages too) . Read it carefully and try to comprehend the list of items that needs to be declared. I’m not an expert on this so I’m not gonna go into discussing what the details of each items are. But as it suggest in the IPC, if you’re not sure tick YES. 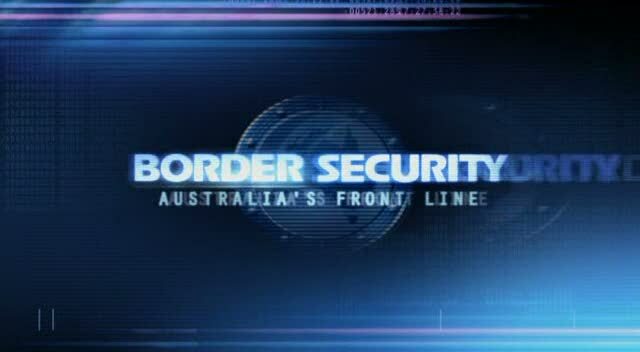 From all the episodes of Border Security, they randomly pick out passenger to assess their true intent of entering Australia, although your intent might be genuinely to be a tourist, try not to bring suspicion to yourself by bring documents like Univeristy degree cause Custom personnel usually see that as an intent to work which would be a breach of your tourist VISA. So don’t feel like they are doing racial profiling cause if they find a reason to doubt you then you probably gave them hints that they should. One of the most common offense is not declaring food. Most of the offenders that don’t declare food are Asians (Chinese, Thai, Filipino, Indians, etc…). Of course, its not only food that needs to be declared…to get a list of items that needs to be declared when arriving to Australia and the duty-free limits (cigarettes, cigar & liquor) for certain items. When the declaration form says “FOOD”, it means anything consumed whether liquid or solid food. Sweets, candies & chocolates are considered as food. I see some people trying to make all sort of ridiculous excuses just to try and get out of paying the fine. If you’re not sure what items are prohibitied, then try email the Australian Quarantine and Inspection Service (AQIS). So if its not allowed then its better you don’t bring it than get destroyed and have the products or goods go to waste. Make sure you apply for the right VISA for the intent you’re entering VISA. Don’t try to go to Australia to find work on a Tourist VISA. If you are caught you could be not be allowed to enter Australia in a certain period of time and you will your VISA cancelled and be made to get on the next flight home.I know a lot of people who goes to Dubai, Singapore as Tourist and just trying to find work while on a Tourist VISA. Although you have been issued a VISA in your country of origin it may still be cancelled or revoke when you reach the border. So if you don’t want to waste the plane ticket and everything to go to a waste be truthful of your intention when going to Australia. Just called the Australian Embassy Visa Call Centre to book my VISA requirement for pick up to be lodged. I’ve read that calling the hotline cost alot…640 worth of Globe credit for 16 minutes which still got me cut off and I had to call back again. When calling to lodge your application, please prepare the following before calling so you utilize every minute of the call. Please note the form type so for tourist 48R and the design date which is located at the bottom right hand corner. Always use the latest form or inquiry in the Embassy hotline the latest form available. 09. Born in the Philippines? They will provide you with a reference # to be indicated outside the sealed envelope with the Applicant Name plus “Australian Embassy” since the company picking up (in my expreience is Air21 but it might change overtime) the requirements also handle other VISA application of different embassies. Another thing to note if you are applying for STUDENT VISA, they prefer bank cert from Commercial Banks this is what the inquiry hotline told me when I called them regarding BPI Family Savings Bank saying there was a previous incident that the embassy denied to acknowledge the Bank Cert. Please call the inquiry hotline when you are applying since this may change in time. Another thing to note, I know for some they see a good promo on the AirAsia or Scoot, please note that lodging is preferred 3 months prior to your departure. Cause they said they might issue a VISA less than the period from the time if and when you get your VISA approved. I don’t really understand it though if you bought tickets for a specific date that can’t you lodge it in advance to be valid till your date of travel. Also note, the embassy doesn’t encourage people booking & buying tickets before the VISA lodge in any case the VISA application is not approve. They are not liable for any cost incurred for cancellation, rebooking of airline tickets & accommodation. Since requirements may change overnight please contact the VIA Center for information. UPDATE AS OF JUN-15-2012: I lodge my application last May-25-2012, 20-days later got a CI call from the Australian Embassy. So when you’re in a relationship with someone, I guess it’s better to put a photo of you together with the application. But I guess this is non-relevant to those applying for the purpose of just touring and have no one to visit in AU. 01. How did we meet? 02. How long have you known him/ her? 03. Have you physically met? Provide details. 04. How often do you talk or communicate with him/ her? UPDATE AS OF JUN-19-2012: I got a text this morning that my documents/ passport has been dispatch minutes later Air21 courier was here to deliver it. Remember if you’re not there to receive it always leave a authorization letter. Don’t expect that there would be a VISA label on your passport…cause you won’t have it. 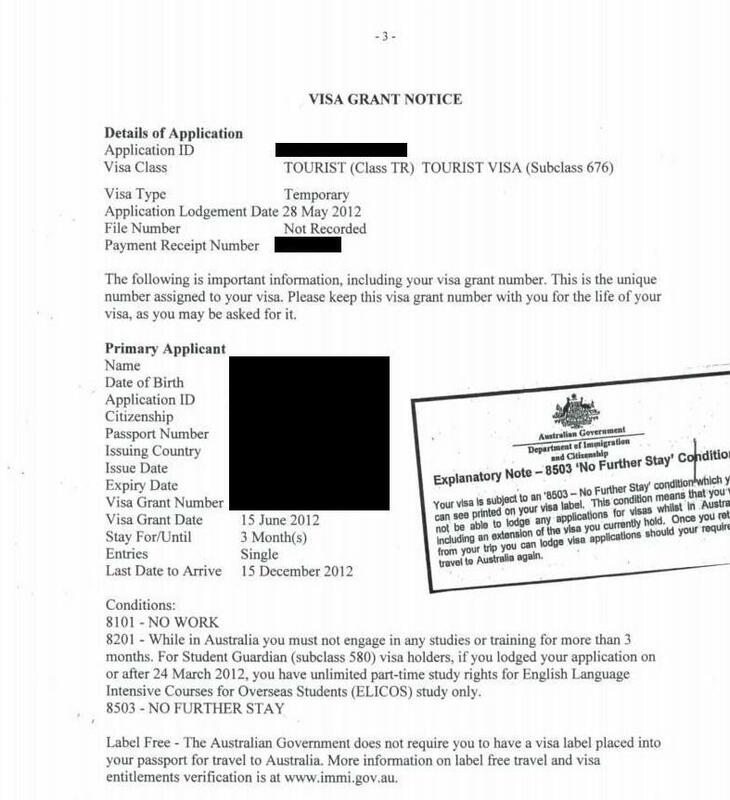 Here’s a what the VISA Grant Notice looks like of course it might change over time in the discretion of the Australian Embassy. Both of them didn’t have 8503, since they are both married and they have families to go back to and for its cause my boyfriend is Aussie. NOTE: All this details are based upon my own experience and I am in no way affiliated to the Australian Embassy or the Commonwealth of Australia. 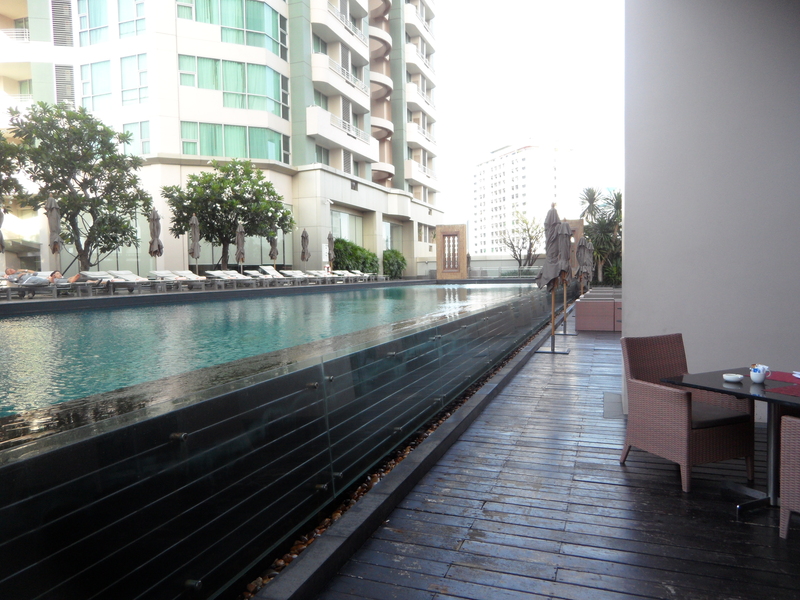 Just went to Bangkok last week for business and stayed at the Anantara Sathorn Bangkok. 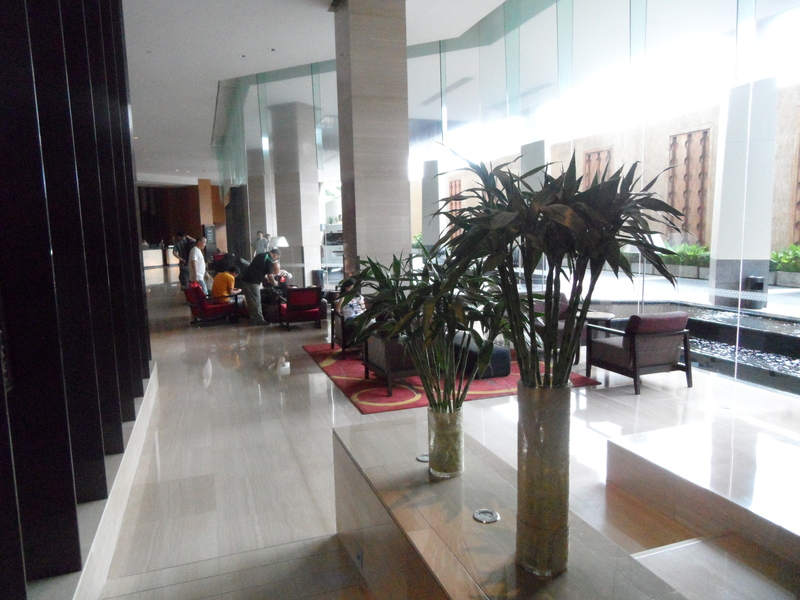 I was so tired that I was able to get photos of the front of the hotel before and after. We stayed at the 20th Floor and the area is mostly residential I think plus when you get to the intersection, its where all the Embassies or Consulate are located. On the left side is where the refrigerator is. There’s complimentary water and of course coffee and tea. 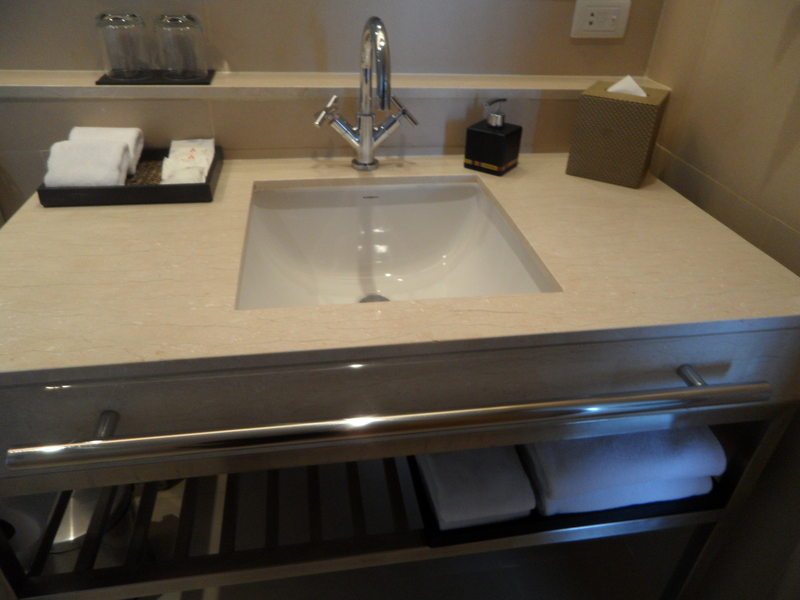 An ice bucket is there but if its not don’t worry you can call the front desk and request for 1. They would call you up and ask you if you got your ice which just shows how they would to please their guest. 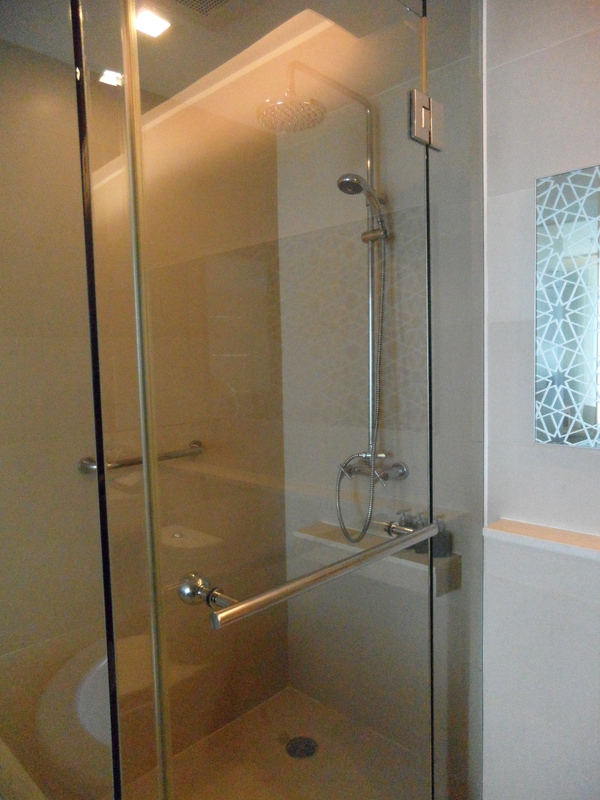 Once you enter the room there’s a door that leads to the bathroom. Of course once inside there’s a glass door that leads to the bedroom. 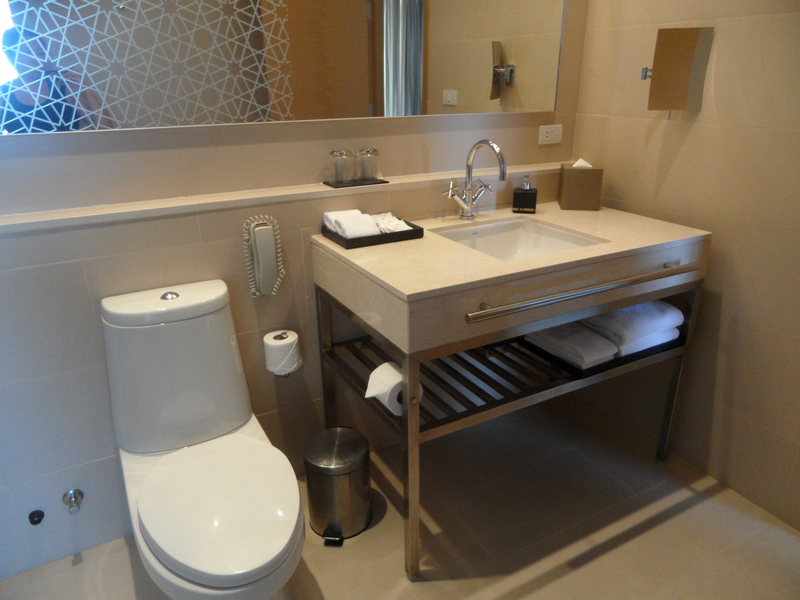 The amenities in the bathroom are, shower cap, sanitary bags, vanity kit and ceramic pumps for hand soap. There’s no available small bottles of shampoo, conditioner, shower gel or soaps, its all in ceramic pumps. 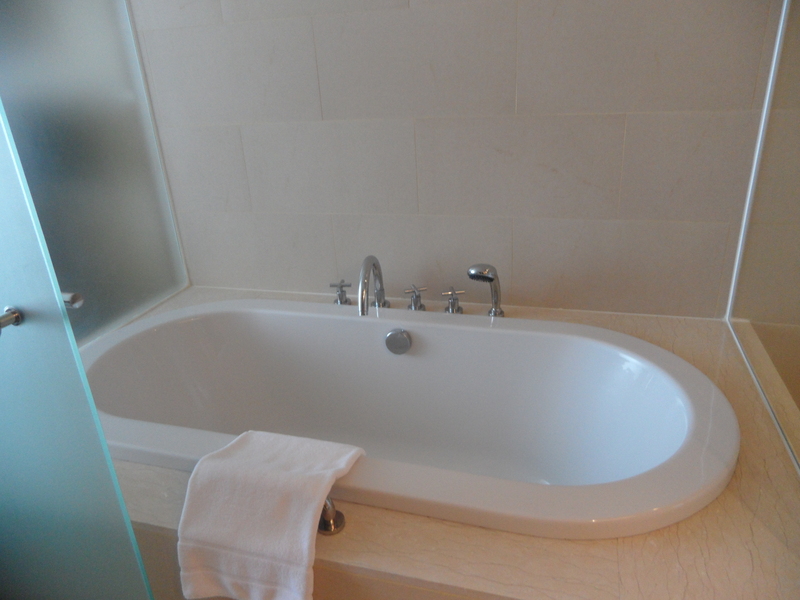 There’s a rain shower which is good, it takes a while to get used to how to set the water to luke warm. So I suggest test the water out before you go underneath it so you won’t get burned. I don’t know if the water would get hot if someone flushes the toilet while your in the shower but I’ve experienced that in some hotels. 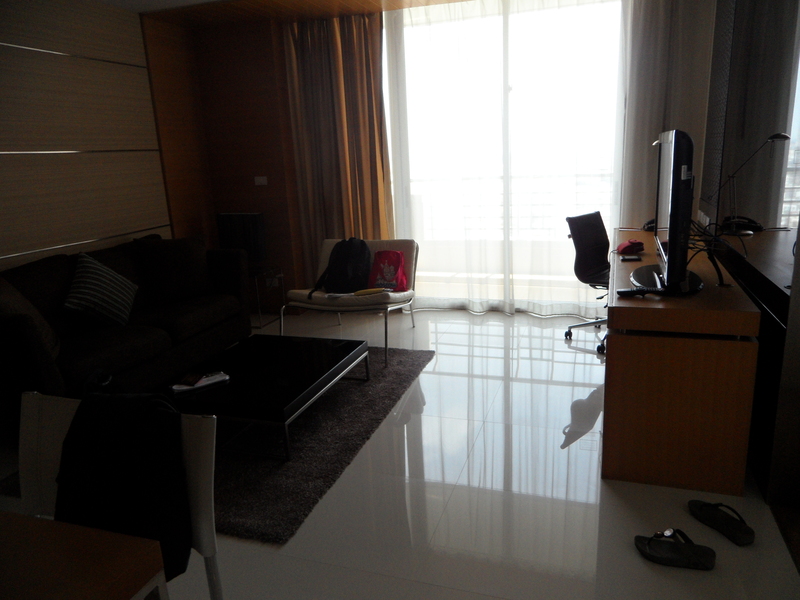 There’s a sliding wooden door that separates the living room with the bedroom. And apparently there’s 2 thermostat so that mean when you close the wooden door you can control the temperature inside without even worrying if the thermostat in the living room is at the lowest temp which I tried was 15 degrees. I wasn’t able to take a photo of the dresser but if you have a big luggage only 1 would fit so the other one would be left outside in the living room. There’s a cabinet outside the bedroom where you can find extra pillow, iron and ironing table. You can also stash your shoes while staying there. 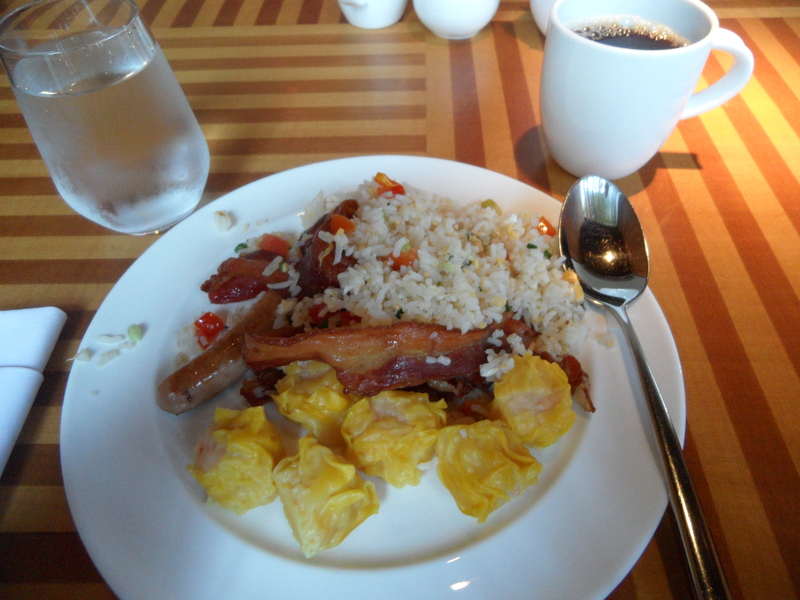 Breakfast was good, you have fruits, pastries, cereal, toast, pancakes, sausages and other local stuff. I’m not into the local food so I stick to what I love and know to eat. The staff were accommodating with of your needs, they change your plate whenever done and give you replacement utensils in case you drop them on the floor. 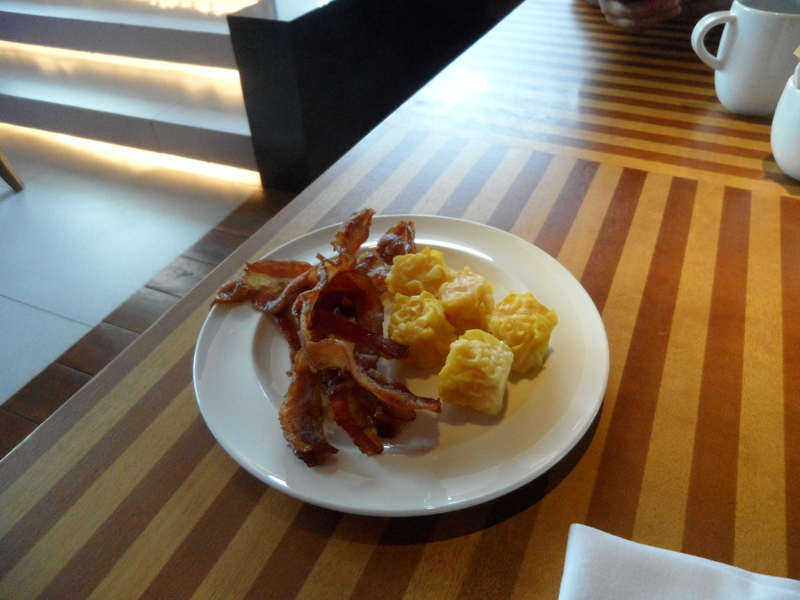 To access the pool, once you get off the elevator go down the hall way opposite where you have breakfast. Its the door at the very end of the hall. From there you can access the gym on the West Wing as well as the Sense Spa. Though there’s no much to go around. You can get around easily cause outside the hotel there’s the ArkhanSonhkhro BRT, you can get off the next station, BRT Sathorn (this might cost you BHT 10) and get the BTS Chong Nonsi to Siam or National Stadium for shopping. If you’re looking for food, there’s a Shabu Shabu and another restaurant iin the Viva City Community Mall ( I don’t know how that place was a mall). 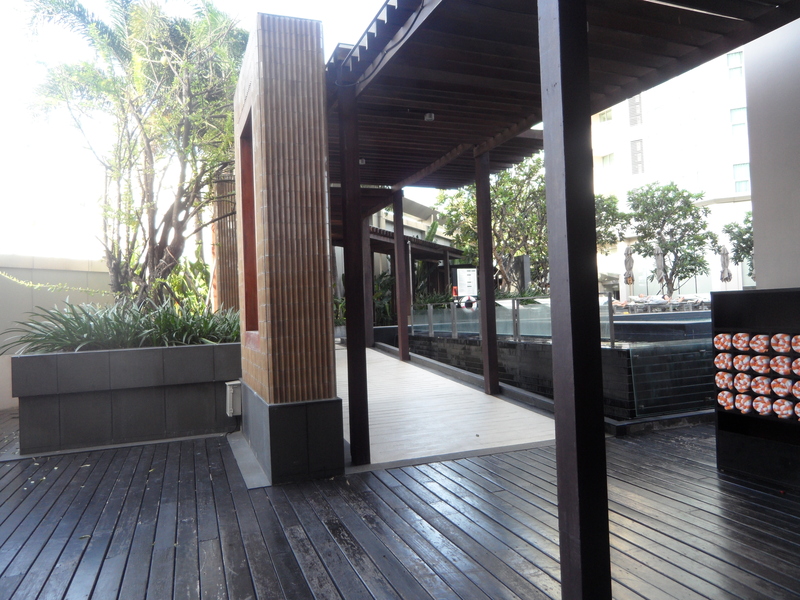 But there’s also a Chinese & Korean Buffet at the building infront of the hotel. There’s the Villa Market in Viva City if you get hungry late at night, they are open till midnight. 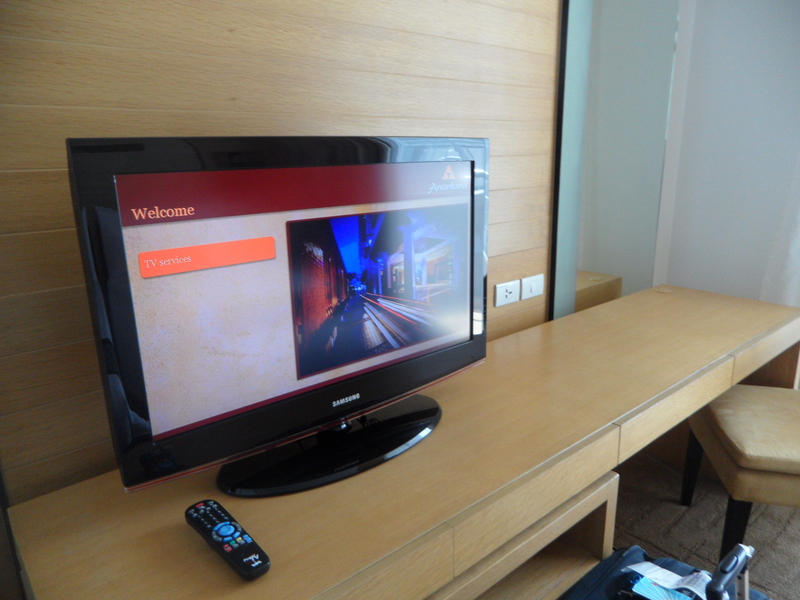 Of course you can order some food through room service…but if its past 11pm its mostly Thai food available for order. The pool I think is open till 9pm but the Gym is open 24/7. If your getting a cab, make sure you bring with you the business card that came with your key card, it has the Thai translation of the hotel plus a map. Cause we tried to get on a cab once nearby and apparently they weren’t familiar with the hotel. If you’re just arriving on your first day on the airport. My landmark to know that we’re near was a Caltex station. For the overall stay, I would give this hotel a 10 out of 10 rating. 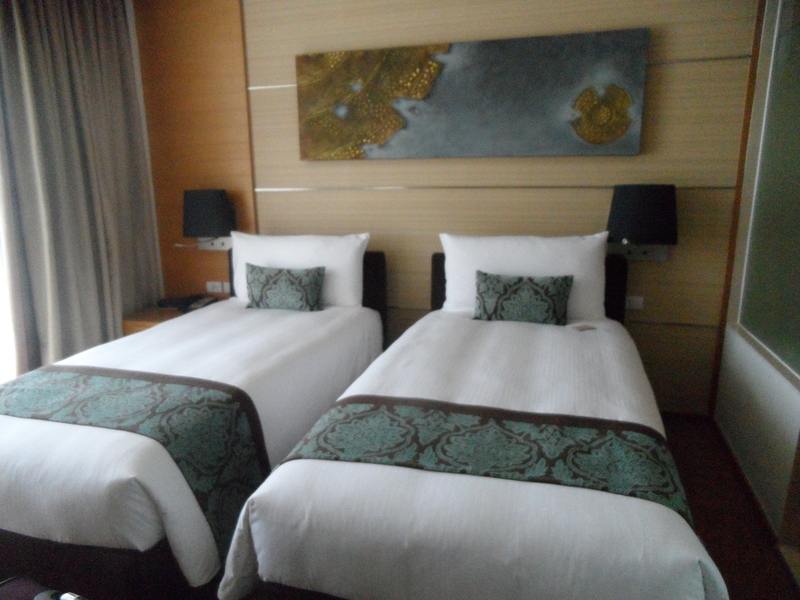 Clean and spacious rooms with friendly & helpful staff, I think you can’t go wrong with that. This is my 3rd time to watch at the Director’s club and 2nd time booked for private screening with friends. I wasn’t really planning to watch it on the big screen but since there was still extra tickets to it…I just tagged along. Well this was the movie that made me appreciate the idea of this private screening on a 30-seat capacity movie theater. When I watched the The Twilight Saga: Breaking Dawn Part 1; it was just like watching a movie on a regular cinema. But I just rather watch a movie in a controlled environment where you know the people you’re with won’t be making too much noise and chattering to the point where you hear them and get distracted. 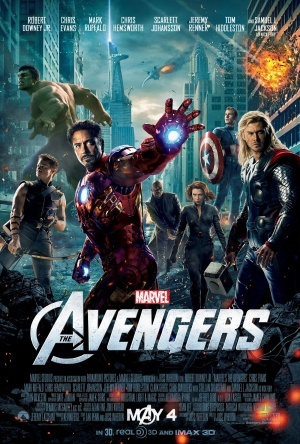 Watching this movie and every action sequence was amazing…you see how every movement the characters make, the explosions how everything was done flawless in a way that its a movie worth watching over & over again. I enjoyed every fight scene where 2 characters try to work together, especially the one with Captain America (Chris Evans) & Iron Man (Robert Downey Jr.). I’m not gonna put any details of the movie cause its worth watching and I don’t really want to spoil it for anyone. Just don’t leave the movie after the credits. I definitely would say if I watch it on the big screen I would have a hard time appreciating the movie. Forget about 3D…cause I’ve tried watching Narnia in 3D…just got me hating the movie cause it made me dizzy. For great action movie…Director’s Club would be my choice. I would definitely give this movie a 10 or 10. This is my first official entry. A month or so ago, I went to Singapore with my boyfriend for our first official holiday together. 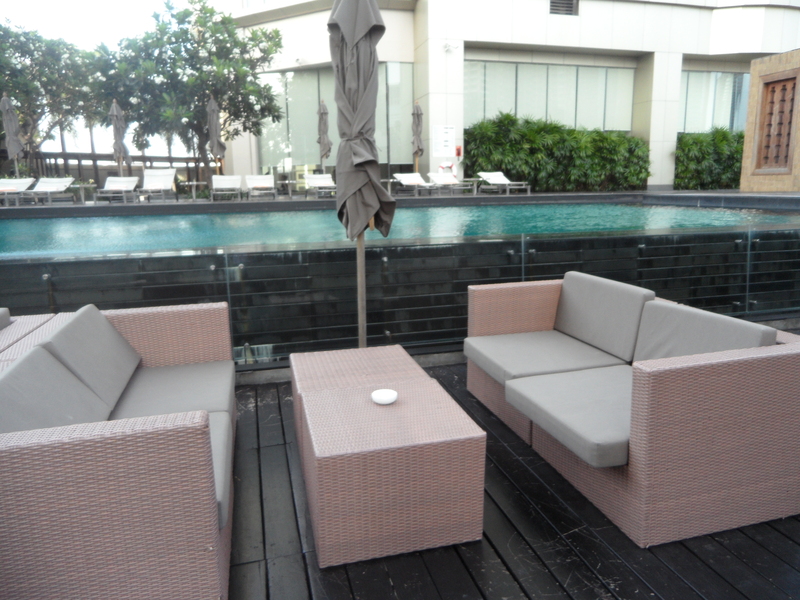 One of the things, we did before our holiday was look into group buying sites in Singapore and Malaysia to get a great deal out of some of the hidden jems in those cities. Newly opened stores are currently joining in the craze to pull in new customers as well as get some exposure. I decided to buy this voucher for the Jewels Artisan Chocolate for my boyfriend cause he loves chocolates alot. Decided to give it to him as a treat for our holiday. The store is located at Orchard Central…its a new mall ( well to me it was since the last time I was there in 2008). To get to this mall better get off the Somerset MRT station…you’ll exit exactly inside the mall. The store is located on the 2nd Floor…once you get on the elevator just turn right and its just infront…they actual have a view of the outside of the mall if you decide to stay and eat. 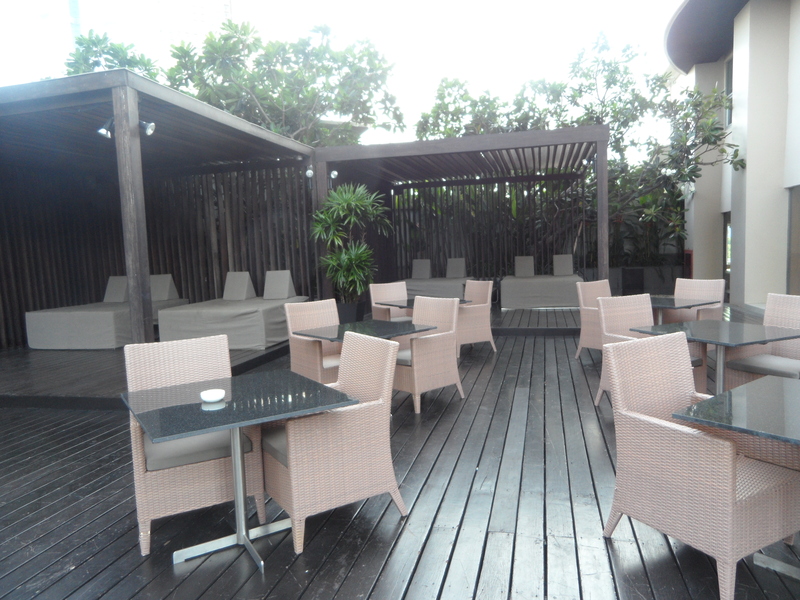 The Jewels actually serve more than just chocolate, they also serve beverages such as coffee, tea and beverages. They also have desserts, macarons, pastries and ice cream. I had a SG$30 voucher to get any chocolate. For Praline & Truffles, they come in 2 sizes, 8-pc box (SG$24) and 12-pc box (SG$36). (*Add SG$0.50 more for Topaz or Chrysolite) I just decide to buy a 12-pc box for my boyfriend cause I know 8 won’t be enough for him. So we got Jade, Peridot,Adventurine & French Nougat (Can’t really quite remember). 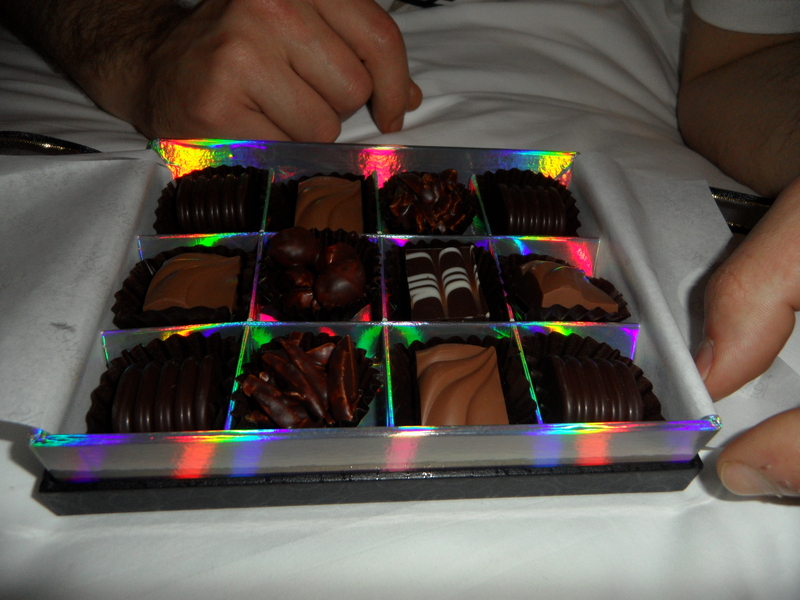 What I like about this place is how they present the chocolate…let me tell you its gift worthy for special holidays. The paper bag was cute and the box that came with it is very posh and you actually reuse the box. I reused the one we got to keep some memories of that holiday. 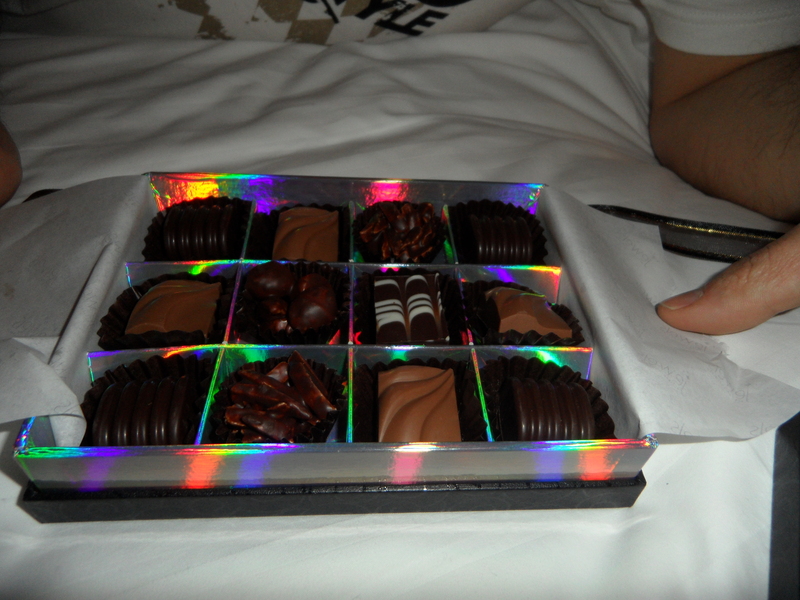 I guess the down side of it all…the chocolates were really a work of art, that you don’t want to take them out of the box more so to eat them. So I guess this is a gem waiting to be discovered. Drop by their place and have a try before you start your day of shopping galore along Orchard Road.